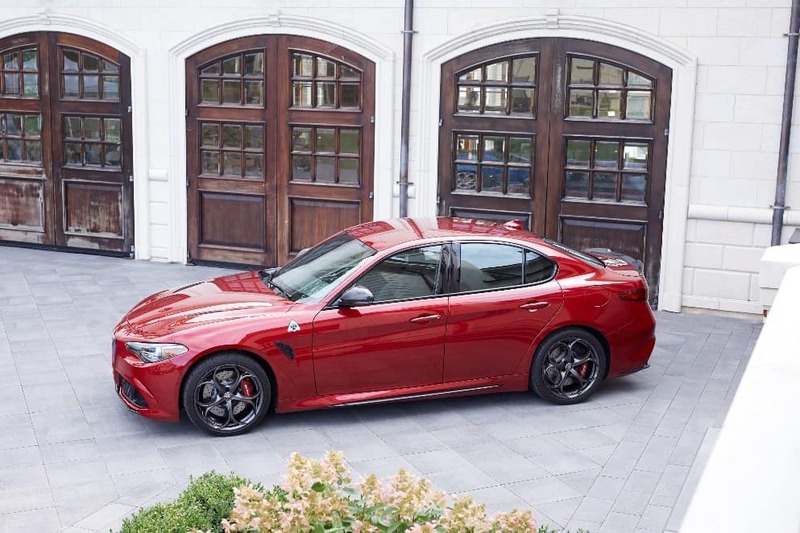 The 2019 Giulia is an exceptional sport sedan that embodies the Italian maker’s passion-fueled heritage of car racing and exceptional craftsmanship. Driving the all-new Giulia is an experience like none other thanks to its plethora of high-end features from Alfa Romeo. Take driving to a new level with a world-class sport sedan built to perform and put the driver at the center of attention. 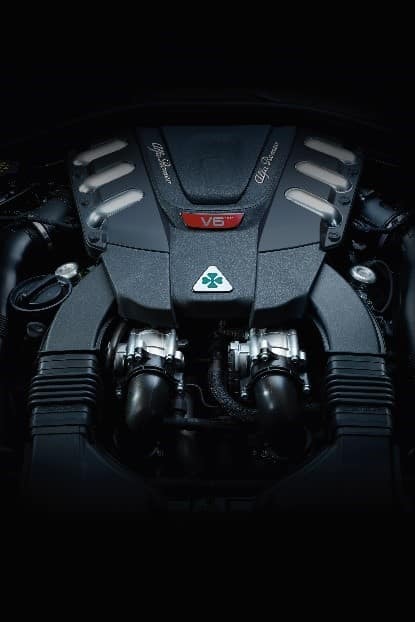 Beneath the hood of the Giulia and the Giulia Ti is the Alfa Romeo turbocharged 4-cylinder engine. At the top of its class, the all-aluminum 2.0-liter powerplant features a twin scroll turbocharger that delivers superior responsiveness. The Giulia Quadrifoglio features an ultralight all-aluminum 2.9-liter turbocharged V6 engine that delivers 505 horsepower and 443 pounds-per-feet of torque between 2,500 and 5,500 rpm — making this the most powerful engine produced by Alfa Romeo. Each level features the next-generation 8-speed automatic transmission produced by Alfa Romeo. Steering column-mounted aluminum paddle shifters are also available for the 2019 Giulia. Stemming from its racing heritage, communication between car and driver has always been essential. Today’s Giulia communicates with drivers through a 6.5-inch or 8.8-inch integrated widescreen Information and Entertainment System. The screen displays important information like vehicle performance pages. Displaying useful data including tire pressures, engine oil, service visits and much more lets the driver know exactly what is happening with the sport sedan. Experience everything the iPhone® has to offer through the Information and Entertainment System in the 2019 Giulia with Apple CarPlay. The system allows drivers to browse music, find nearby restaurants, catch up on calls and more. Stay focused and productive while on the road with voice controls that allow calendar appointments to be made, reply to emails or messages, and listen to your favorite music with Google Play. Built specifically for Alfa Romeo, the premium audio system by Harman Kardon® optimizes acoustics in the Giulia. Its 900-watt, 12-channel class-D amplifier and Logic 7® sound technology distributes clear sound through a system of 14 premium speakers and subwoofer. A sophisticated approach is taken so that the Alfa Romeo Giulia can navigate harsh elements with ease while also tracking potential hazards. The 2019 Giulia features a comprehensive air bag system that includes: driver and front passenger dual advanced air bags, seat-mounted side air bags, plus supplemental front and rear side-curtain air bags. Standard on all Giulia models, the backup camera with dynamic grid lines and rear parking sensors aid drivers while parking, especially in tight spots. Standard on the Giulia Quadrifoglio and available on the other Giulia trim levels, through an illuminated sideview mirror icon, the dual radar sensors aid the driver while changing lanes and notifies the driver if a vehicle is in the blind spot. The standard system found in the Giulia directs the Electric Power Steering (EPS) to produce optimal stopping capability, which provides superior stability under dynamic situations and braking maneuvers. 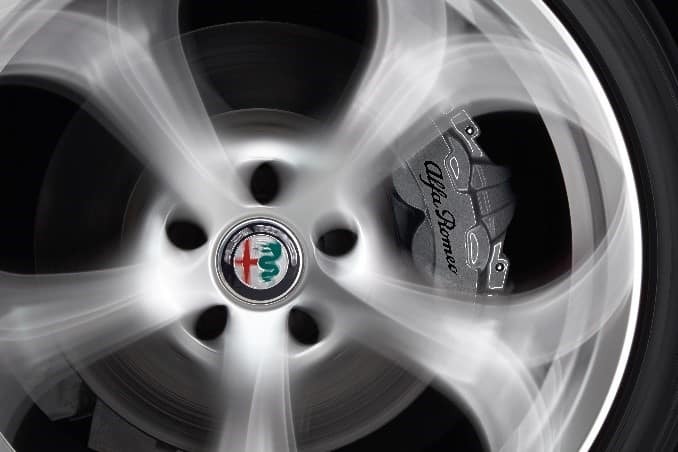 Standard on each trim level of the Giulia, ASR limits the spin of the driving axel during a driving torque request in the event the adherence limit is reached, providing further optimizations for vehicle traction. The TCS, also a standard feature for the Giulia, limits the wheelspin of a single drive wheel by applying brake torque to the wheel while and equivalent amount of torque is transferred through the differential to the other wheel, providing the proper amount of torque for the Giulia. Drivers searching for the ultimate driving experience can find the 2019 Alfa Romeo Giulia at our showroom on Central Ave in Albany, NY.